Bar-Tech Systems & Automations Pvt.Ltd. is one of the prominent Barcode Printer, Scanner Dealers , Godex Industrial Printer, Epson Label Printer and Agrox Industrial Printer based in India. We have years of experience in providing the best Barcode Products with integrated solutions. We are a member of Association for Automatic Identification & Mobility (AIM), USA, and AIDC Technologies Association of India. We represent the prominent AIDC brands in the global market. In a short interval of time, we have reached the paramount in terms of technology and techniques. We have captured the domestic market with reliable quality. We will always do our best to live up to this commitment. We have done more than 1500 installations across the country, which is an evident of our success and experience. We also welcome queries and suggestion from our esteemed clients. Finally yet importantly, we have enchanted our esteemed customer with reliable products. Incepted in the year 1997, Bar-Tech Systems & Automations Pvt.Ltd. 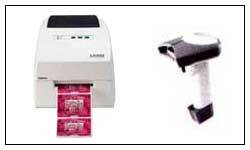 is engrossed in dealing with a wide range of Barcode Products that found its application in various industries. We have laid the foundation of our company in New Delhi, India under the guidance and supervision of Mr. P. K. Vijay. His rich experience and administrative skills have enabled us to achieve many milestones of success. Being a quality conscious company, we are devoted towards delivering optimum quality products at cost effective prices. We thoroughly examine the quality and conditions of the Barcode Printer & Scanner prior making final dispatch to the clients. From procuring Barcode Equipment from the dealers and manufacturers to packaging, our quality check team strictly inspects every procedure. We have a team of proficient and experienced hardware and software engineers, who check the performance and efficiency of Barcode Scanner/Printer. In addition to this, the highly skilled technicians with the help of state-of-the-art equipment are delivering matchless quality.